Waar: The Hague Tech op Juliana van Stolberglaan 10. 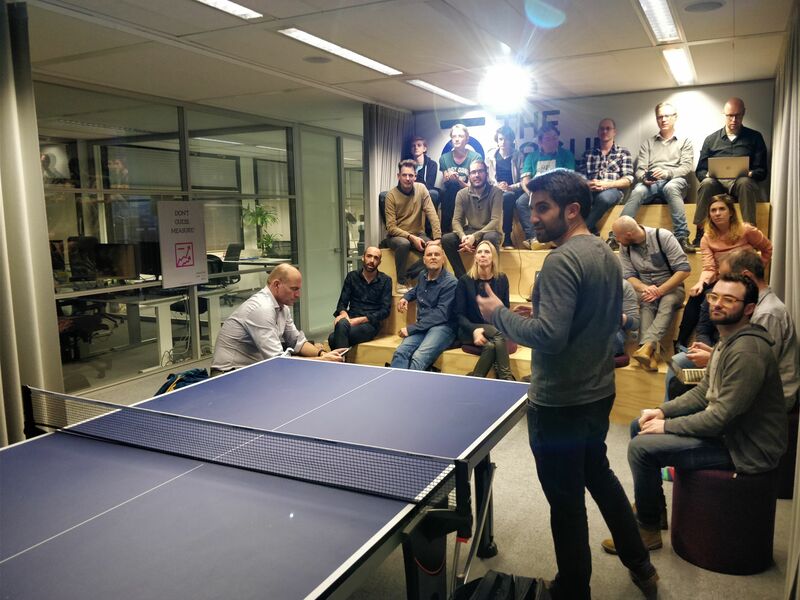 Vierde vrijdag is a day for coworking, networking, sharing ideas & showing projects. In the afternoon there’re talks for and by the community. This month will be an exciting one, featuring virtual reality demos, blockchain talks & info on the development of a new content creators platform. September 28th! Starting at 10:00 there’s coffee, a good time to meet everyone. Feel free to work on projects, chat with each other, get feedback. From 2pm there’re presentations & it’s possible to present your project. This Vierde vrijdag takes place at The Hague Tech, a tech hub just behind The Hague Central Station. 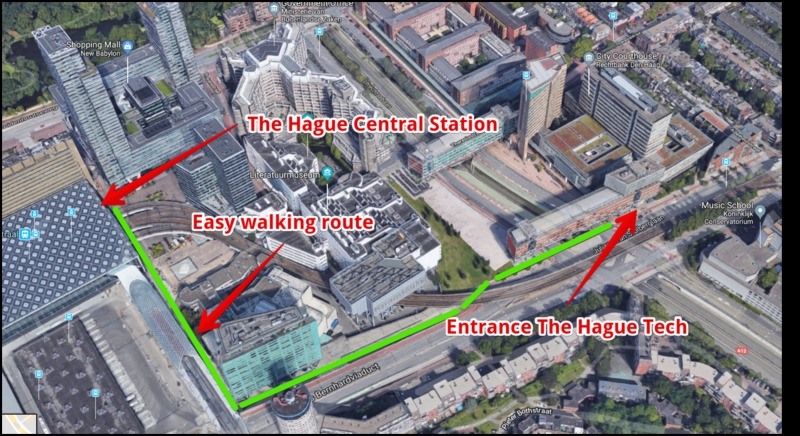 For a walking route from Central Station to The Hague Tech, see this image. 10:00 Be welcome to meet & (co)work, have an informal gathering, create your mini-hackathon..
12:30 Have salad/bread/fries at The Hague Tech for only 5 EUR, or bring your own. Have something to share, ask or announce to the community? Do it now! You have three minutes to share what you want to share. In this intro you’ll get to know the cool projects from in and outside the community in no time. The Content Blockchain Project https://content-blockchain.org is an open initiative to support the creation of a dedicated blockchain network designed for the media ecosystem. The network will simplify digital content identification, license management, content distribution and the monetization of digital content. It is open and can be used by anyone to create innovative applications, enabling new business models on a decentralized network. The session will introduce the Content Blockchain, the ISCC digital standard identifier http://iscc.codes/ and present the roadmap for the launch of the network. Mick (CryptoPepes) will give you a mining demo. You’ll learn about Proof of Work & blockchain consensus mechanisms. The people in the audience function as block producers. Join this interactive, informative session to learn about the way blockchain works. 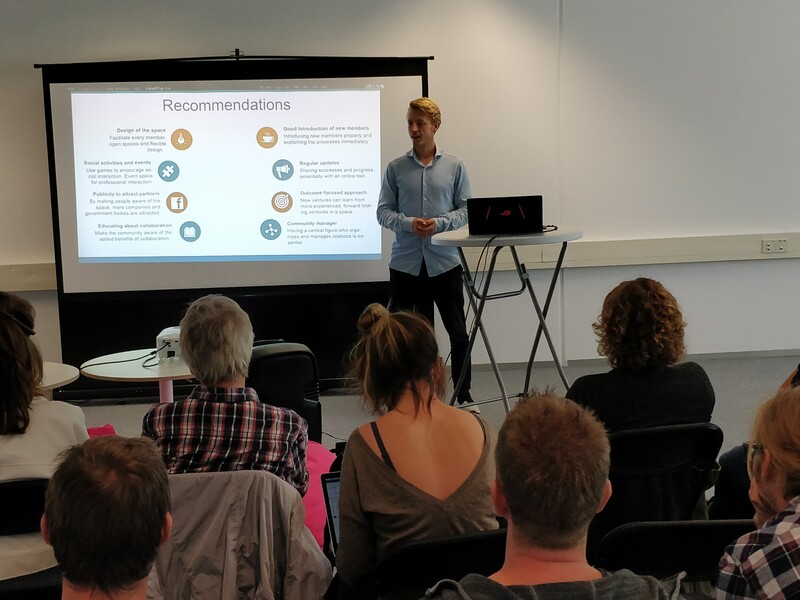 DutchVR http://dutchvr.com/ is a well known The Hague based company specialized in creating VR and AR applications. In this session by Duncan Smit you’ll see one of the newer demos. During the day it’s possible to experience VR / AR yourself! ★ 16:15 – 16:45 Blockchain Montly Update! Blockchain Monthly Update / What happened in blockchain this month? The Blockbar community shares the latest news, current crypto projects & insights on blockchain space. Program to be finalized. Leave a message if you want a time slot for your topic. 17:00 Get to know the people even more, start new projects together, drink on failures and success. Drinks can be payed in both crypto, cash & e-EUR.